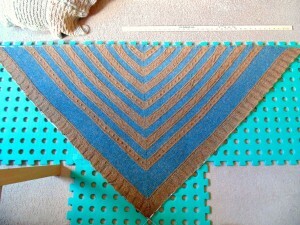 This week I’m still working on my new shawl pattern. The shawl is now off the needles woohoo! I sat and did all the weaving in of ends, gave it a little bath and now it is blocking. I should be able to get good finished photos soon. I’m really happy with this design, I wanted a break from lace and decided to go with texture for this one. The bands of different textured patterns were fun to come up with and I particularly like the little “rivet” sections which have small bobbles in them to make the bumps. 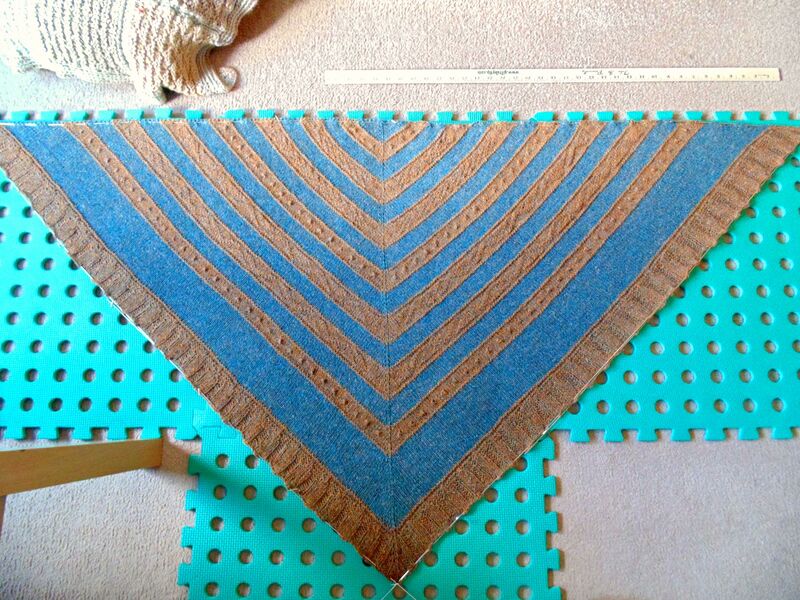 It took me a while to decide on the border but I felt a plain wide ribbing would work best, not too fussy. I’m writing the pattern up at the moment and hope to have it ready for testing in the next few days. The pattern name will be “Maidenhall”. Hope you like what I’ve come up with! Oh…and I’m cooking up a fall freebie pattern to share here which combines knit and crochet, out soon…so keep checking in! I haven’t managed to get a lot of knitting done this week, just a row here or there, but when I have I have mainly been focusing on just two projects. 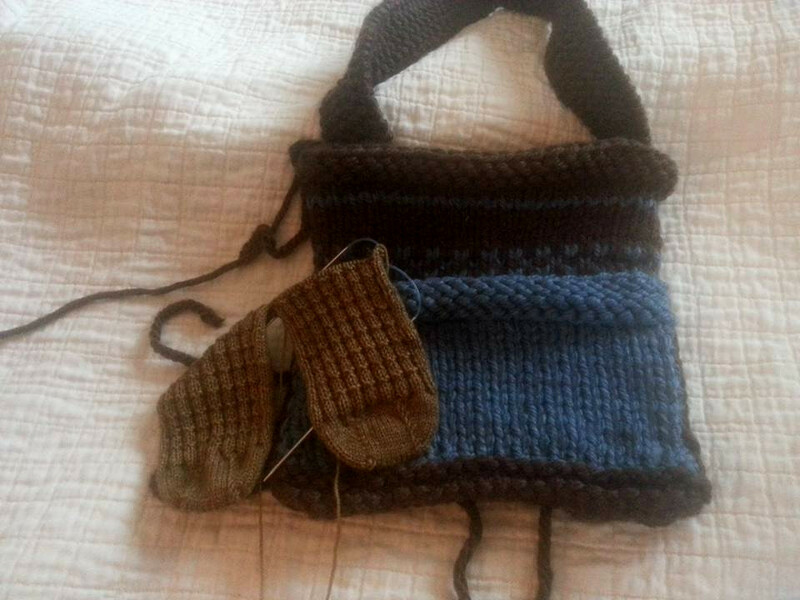 I am finishing up my new bag, a test knit for our friend Sarah, and working on my socks, my own pattern. I am finished with all of the knitting on the bag now and just have a couple of spots to sew together (strap and small pocket) and then weave in ends and it will be all finito! For the socks I am about 5-7 rows from beginning the heel I think, I need to do a bit more research.. I am trying out a new heel so it may require some ripping and reknitting. I am thinking I might try casting on the heel and just working it on some spare yarn to see how it does before working it on my actual socks. What are you working on this week? Leave us a comment and let us know!